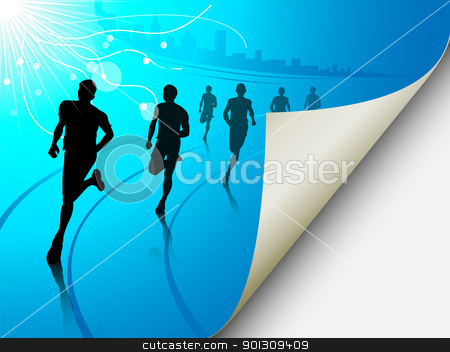 A set of six runners or marathon runners, running on a track on an abstract city or cityscape background with a sun. Vector illustration. The page looks like it is flipping, can easily add content there.